Lets face it, gassy babies are NOT fun! A gassy baby is a suffering baby. S/he cries continuously until you feel like crying yourself. Worse, is when the gas triggers off acid reflux and your baby throws up uncontrollably, thus increasing the crying game. One of the main culprit causing gas is baby formula. They tend to give more gas than breastmilk because they are based on cow's milk and many babies are sensitive to them. Good news is, there are some formulas that are easier on the digestive system and actually reduce gas, eventually resolving the tummy issues. Remember, gas is normal so don't freak out. After all, a baby's brand new digestive system can still be relatively immature and digesting food can be huge task for them. It's just a matter of finding the right formula that works for your baby. Read on to see our Top 5 Best Formula for Babies with Reflux. After all, a baby's brand new digestive system can still be relatively immature and digesting food can be huge task for them. 2. What is the best formula for silent reflux? Finally, something that works! Similac Sensitive Non-GMO Infant Formula is hands down the best formula for gas. No surprise there, considering it comes from a brand that is chosen by U.S moms as the number 1 infant formula brand, and is also the number 1 brand fed in hospitals. If lactose intolerance is the reason your baby is gassy, you can still feed him this milk-based formula without going to soy because it contains no lactose. Being lactose- free also means it's easier to digest and prevents watery stools. a brand that is chosen by moms as the number 1 infant formula brand, and the number 1 brand fed in hospitals, it is no wonder many mothers swear by this formula because it really works. 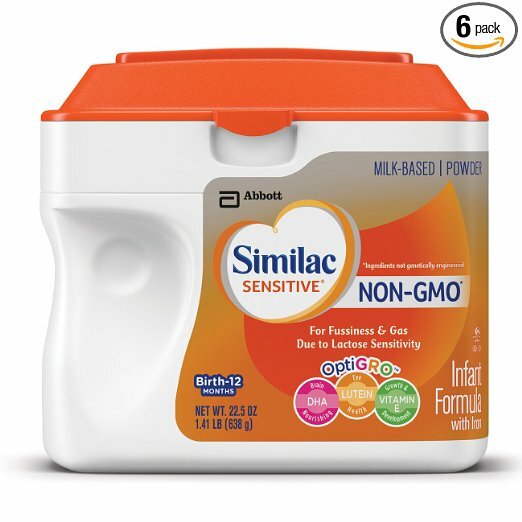 Apart from resolving gas, Similac Sensitive Non-GMO is packed with its exclusive blend of DHA, Lutein and Vitamin E, which are special nutrients found in breast milk essential for your baby's growth and development. Its blend of two different carbohydrates are what makes it easier to absorb and thus reduce gas in the tummy. There are some confusion between Similic Sensitive Non-GMO and Similac Sensitive. Basically, they are manufactured using the same ingredients, it's just that they come from different sources. Non-GMO means nothing is genetically engineered and this may be a preference to some parents, although genetically engineered ingredients used in food have also been approved by the FDA for human consumption. They do not differ that much in terms of price, so we'd say it's all about your preference. Most importantly, is that the Similac Sensitive (non-GMO or GMO) really does work wonders in terms of reducing gas and acid reflux in babies. We couldn't recommend it enough! 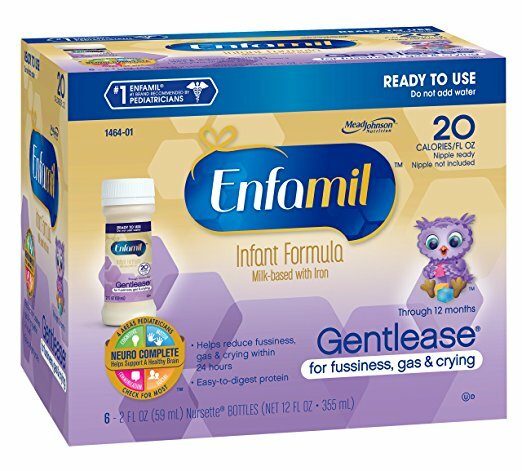 Enfamil Gentlease Gentle Instant Formula is another one of the best formula for reflux and gas. It is also non-GMO, so that is good news if this is your preference. 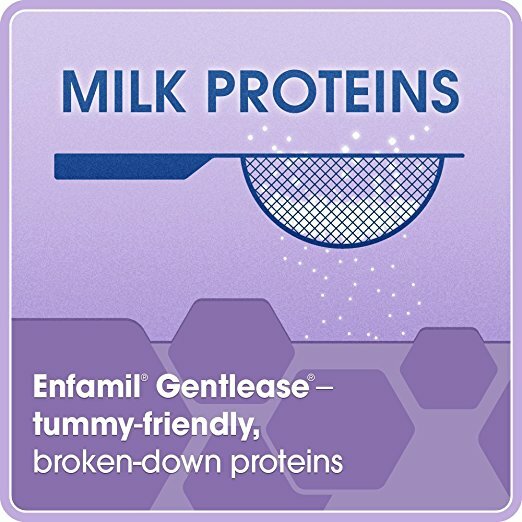 Similar to Similac Sensitive, Enfamil is a milk based formula but unlike the former, which is completely lactose free, Enfamil has a much reduced level of lactose in its formula which still does the trick in reducing gas. In fact, it has been clinically proven to reduce fussiness, gas and crying in just 24 hours. It’s nutritionally complete for infants through 12 months of age, with an easy-to-digest gentle protein blend that has been partially broken down. Enfamil Gentlease is a formula that is nutritionally complete for infants through 12 months of age. It uses an easy-to-digest gentle protein blend that has been partially broken down for those sensitive tummies. Most importantly, it has both the amount of brain-nourishing inositol and DHA+ that are found in breast milk that work to promote your baby's developing immune system. In fact, it is the first and only infant formula in the market to have this element. If, for some reason, Similac Sensitive does not work for you, we recommend giving the Enfamil Gentlease Gentle Instant Formula a try before switching to a complete soy-based formula. It is after all, the number 1 paediatrician-recommended formula for fussy, gassy babies. If none of the above works for your gassy baby, it's time to switch him/her to soy-based formula and this one from Enfamil is the best soy formula for reflux. .
Enfamil Prosobee Soy Infant Formula is an alternative to milk-based formula. As it derives protein from plant, it is completely dairy and lactose free. This is suitable for infants with lactose intolerance and suits families who follow vegetarian or Kosher diets. Some parents observed that their baby may have solid stools after consuming the Enfamil Prosobee Soy Infant Formula. If this happens to your baby, you may need to find a solution to resolve their constipation. However, some babies will resolve this problem themselves once they got used to the formula. Another thing to note is that it is harder to dissolve in room temperature water, but using warmer water will do the trick just fine. Aside from that, the Enfamil Prosobee Soy Infant Formula is a great alternative and life saver for gassy babies that cannot tolerate lactose at all. 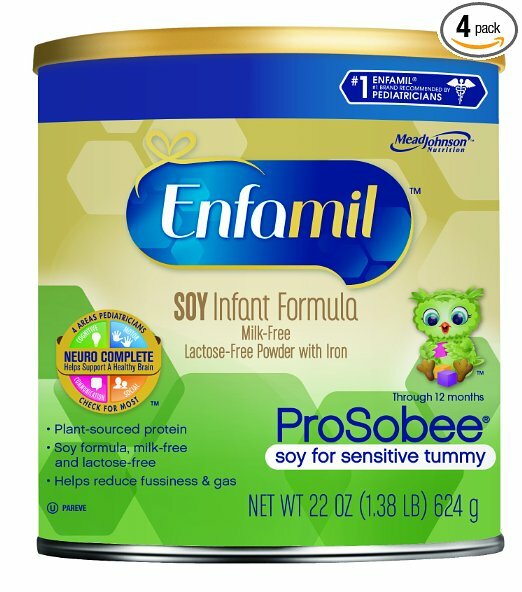 Enfamil Prosobee Soy Infant Formula is an alternative to milk-based formula. 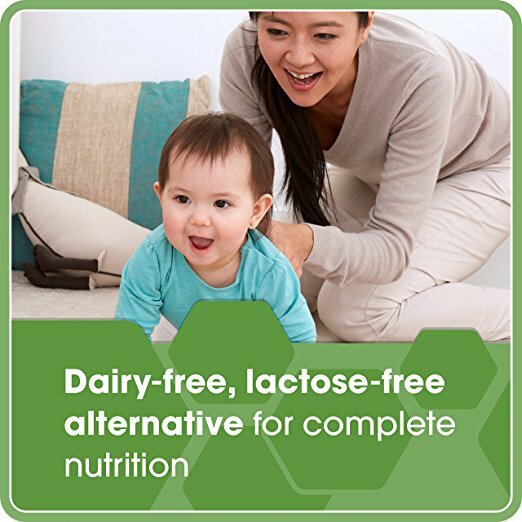 Being dairy and lactose free, it is suitable for infants with lactose intolerance and suits families who follow vegetarian or Kosher diets. If being gassy is not the only problem your little one is facing, for example, s/he may be struggling to sleep and is crying more than 3 hours a day, you may have more than a gassy baby in your hands - your baby may be suffering from colic. One common cause of colic in babies is that they are allergic to cow's milk. This is not simply a case of mild intolerance but is more on a serious scale. Cow milk allergy babies are more prone to other allergies such as asthma and eczema , too. The following infant formulas are specially formulated to target such allergy, in addition to solving gas and acid reflux in colicky babies. We will be honest, we struggle between the Similac Alimentum Hypoallergenic Infant Formula and Nutramigen with Enflora LGG Infant Formula in terms of their ranking as both have their own strengths. 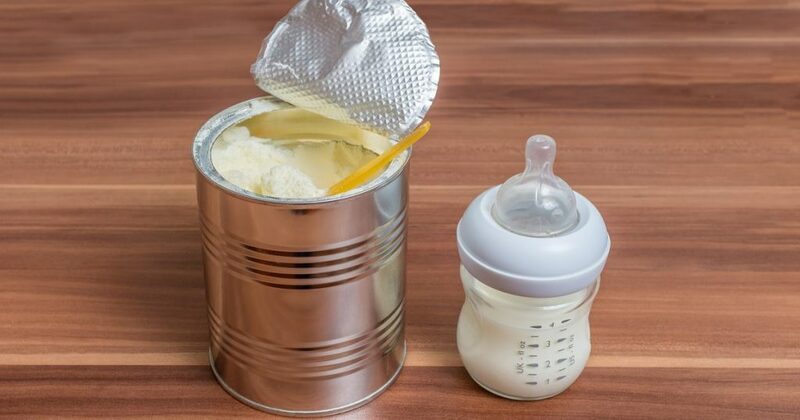 Similac Alimentum is dubbed the 'golden liquid' to babies who suffer severe food allergies (including cow milk) and are protein sensitive, which means soy based milk is rejected too. You can see effective results in just 24 hours when baby's excessive crying is reduced drastically. How it works is that Alimentum contains a pre-digested milk protein that is broken down into tiny pieces to virtually eliminate allergic reactions in most babies. 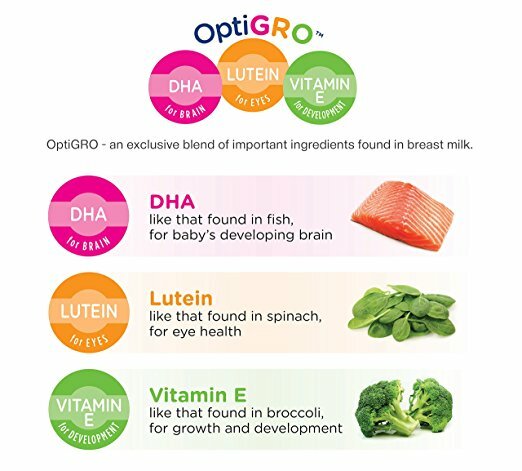 Despite being hypoallergenic, it is still nutritionally complete and has DHA and ARA (special nutrients found in breast milk) that are important in brain and eye development. Mothers with preemies who suffer from gas and reflux swear by this product as they say it is the best formula for preemie with reflux. Perhaps the biggest distinctive feature between the two is their price. 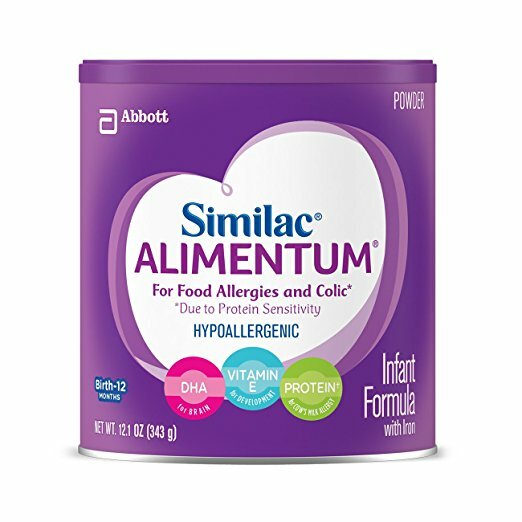 Similac Alimentum is much more expensive than Nutramigen and this is probably the only downside of this formula, apart from its smell. However, you see faster results from Alimentum so you can say it has the better formulation. Perhaps the biggest distinctive feature between the two is their price. Similac Alimentum is much more expensive than Nutramigen and this is probably the only downside of this formula. Similac Alimentum Hypoallergenic Infant Formula may not be for everyone given its price, but if you can afford it, it will certainly not disappoint. Otherwise, you may consider going for Enfamil's Nutramigen (read our review below). In any case, both are the best formula for acid reflux which is why they are a tie at number 4. Both Similac and Nutramigen are the best formula for acid reflux. Up to 90% of colicky babies have their conditions improved within 48 hours as early as the first feeding so really, this is one of the best formula for acid reflux and colic. Like Similac Alimentum, Nutramigen with Enflora LGG Infant Formula is another hypoallergenic infant formula that targets cow and soy milk allergens. The good news is, Nutramigen is way more affordable than Alimentum, which is why it is so hugely popular. Nutramigen with Enflora LGG Infant Formula has been clinically proven to help reduce future allergy challenges as well as build your baby's immune system's tolerance to milk proteins sooner. S/he does not have to wait until 3 - 5 years of age to outgrow their milk allergy anymore! It achieves this by breaking down proteins extensively to make the formula hypoallergenic, not to mention easy to digest which works to eliminate excessive gas. Not only do parents notice the reduction of reflux and gas pain in their baby, the existence of probiotic LGG also means there is less constipation. Most will agree that the downside of this formula is its smell but this should be the least of your concern as long as it works to help your baby's colic and gas. Your baby and you will get used to the smell soon, anyway. 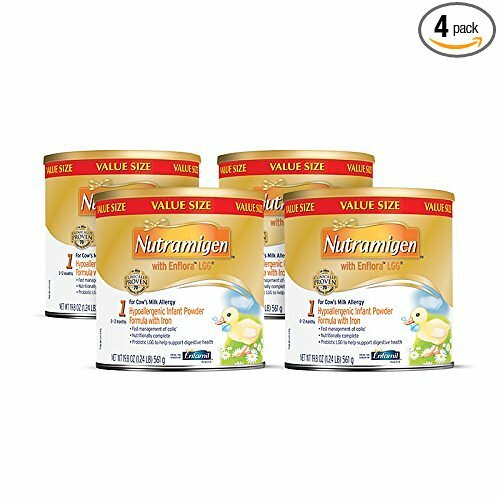 Up to 90% of colicky babies have their conditions improved within 48 hours as early as the first feeding so really, Nutramigen with Enflora LGG Infant Formula is one of the best formula for acid reflux and colic. We do recommend consulting with your doctor first to see if it's suitable for your baby, before feeding him/her. Cow milk allergy is not the only cause of colic in babies. Sometimes, it can be due to babies not having enough good bacteria in their digestive system. For example, you may be breastfeeding your baby (so no external cow/soy elements) but yet your baby is still colicky. Gerber Good Start Soothe Non-GMO Powder Infant Formula specifically targets this problem by including the probiotic L. reuteri, a type of good bacteria into its formula and this has been clinically shown to reduce crying time by 50% in colicky breastfed infants. 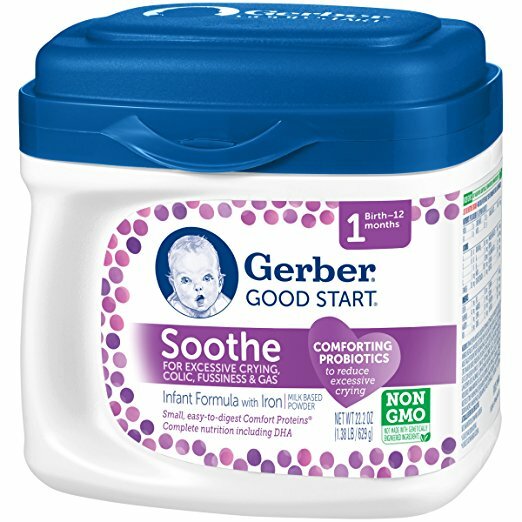 Like most formulas aimed to reduce gas and reflux, Gerber Good Start Soothe breaks its protein down into small parts so that it is easy for tummies to digest. It does have lactose in it though, 30% in fact which is blended with a carbohydrate to help ease fussiness and gas (expert recommended DHA). Experts believe that different strains of good bacteria have different health benefits. The probiotic L. reuteri used in Gerber Good Start Soothe formula has been clinically shown to reduce crying time by 50% in colicky breastfed infants. Gerber Good Start Soothe Non-GMO Powder Infant Formula is one of the best baby formula for breastfed babies with colicky symptoms. 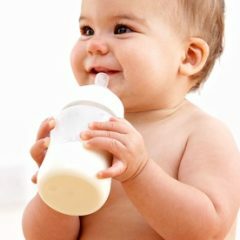 If your baby is intolerant towards lactose, you will need to skip this product but if his/her gassiness or colic is not caused by cow and soy milk allergy, then we encourage you to give this a try as it may very well be that s/he just lacks the good bacteria in their digestive system that is causing all the gas and colic. Gerber Good Start Soothe Non-GMO Powder Infant Formula is one of the best baby formula for breastfed babies with colicky symptoms. It is bad enough that your baby is suffering from gas and reflux. It could be worse if your little one is suffering from silent reflux, according to some parents. 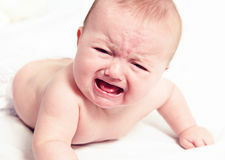 This is because silent reflux, contrary to common belief, does not refer to a baby who does not cry with their reflux. Rather, there may be no obvious sign of reflux and by no means they are 'silent'. While most of us associate vomiting as the sign of reflux, babies with silent reflux may not vomit at all. This makes it harder to diagnose. One telltale sign is when your baby suddenly starts crying while feeding, or grimace as if s/he has tasted something bad. If you hear your baby reflux but see no evidence of it, chances are your baby is suffering from silent reflux. More often than not, silent reflux is caused by an intolerance with soy AND cow milk. Now, we are no medical experts and we strongly encourage you to seek your doctor's advice. 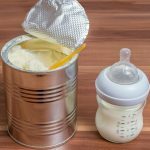 However, if it really turns out to be a case of soy and cow milk intolerance, you may want to try feeding your baby hypoallergenic formulas like that of Similac Alimentum or Enfamil Nutramigen. Both of these are made of high quality ingredients and they are the ones that work when nothing else does. Many parents dub it as their life saver so you really cannot go wrong with it. Alimentum is more expensive than Nutramigen but you can see obvious improvements within 24 hours with it compare to Nutramigen's 48 hours. Read more about their analysis in our review above. Nonetheless, both are the best formula for silent reflux and gas that we'd recommend no other! If you hear your baby reflux but see no evidence of it, chances are your baby is suffering from silent reflux. Apart from switching between formulas, you can help your baby reduce excessive gas through other means too. (c) Lay your baby face down so that he is lying across your knees. Support his chin and jaw with one hand (make sure his head is not lower than the rest of his body) and gently rub or pat her back with your other hand. Remember, you may not succeed in getting your baby burp after a few minutes. If this happens, just lay her down for a few minutes and try again. If it still doesn't work, don't worry, it may be just your baby does not need to burp! Do you know that sometimes all it takes is just switching your baby's bottles? There are bottles specially designed (think separate venting system) to help combat gas issues in babies. Click here to read our review on ​​​​​this! Lay your baby face down on your legs so she's lying across your knees, perpendicular to your body. Support her chin and jaw with one hand. Make sure your baby's head isn't lower than the rest of her body so blood doesn't rush to her head. Pat or rub her back with the other hand. Bottle warmers: what works best? Gas and colic - how to combat them? Breastfeeding: how to store your breast milk? What is the best breastpump?